i've already book my flight to bkk and its jus only for 2days. im not planning to spend too much time on travelling to hatyai. but if getting botox done at bkk going to cost 2times more than dr nara... or should i just as well postpone my treatment and get it done with dr nara?? What are you doing botox for? I don't know how much it costs in Bangkok, but it comes down to who you trust more. Also consider the cost of travelling to Hatyai compared to Bangkok. Plenty of stuff to weigh in. So yeah I can't really answer that for you. 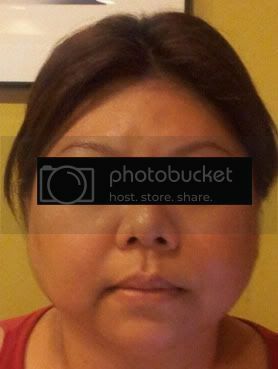 botox for my big jaw... its cheaper to travel to hatyai than to bangkok from here and half of bkk surgery price.. dr nara reputation looks good too after reading positive comments from everyone here..
i'm thinking of doing alarplasty too... has anyone done alarplasty and how long does it take to heal and how painful is it? i've seen a alarplasty procedure on youtube n its looks painful.. correct me if im wrong but is there 2 different kind of procedures? 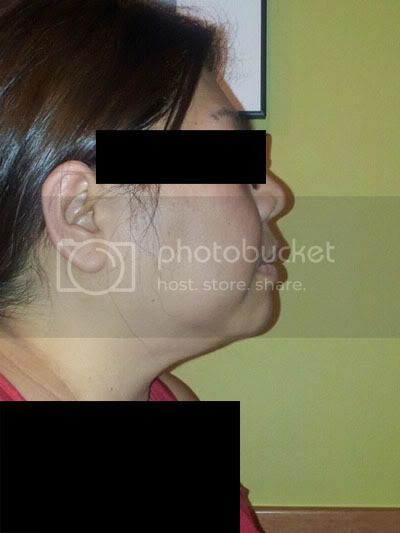 open alarplasty and/or shortening of the nosetrills? im considering yanhee or haytai, which dr is more skillful with the least scarring? missyrainyday wrote: botox for my big jaw... its cheaper to travel to hatyai than to bangkok from here and half of bkk surgery price.. dr nara reputation looks good too after reading positive comments from everyone here.. If that's the case then go for dr nara. You have to get repeats every 3 months anyway. a lot of people here have had good results with hat yai. I also hear good things about yanhee but really depends on the doctors. some are a hit or miss. I WANT TO GET RID OF EXTRA MEAT ON MY FACE. Hope to hear some reply here from expert. Re: I WANT TO GET RID OF EXTRA MEAT ON MY FACE. So that mean, botox will straighten my forehead arh... I called Dr Nara, but his assistance don't understand english and she keep saying what service i wanna do, but the problem is, i also don't know what can i do to remove that shaggy face. have you tried emailing other clinic/hospital? they reply much faster. Anyone going down to Hat yai next month? macaronincheeze, botox should take care of those lines. as for your face, botox in your jaw muscles and buccal fat removal should reduce the volume. you should also consider a decent chin implant to elongate your face a bit, and make your face appear less wide. i think dr nara can do these. i will be doing buccal fat pad removal with dr chi later this month. just wondering will the swelling be very serious? what is the approximate recovery time? is it necessary to remove the stitches? dont think dr chi will do it for me. hv anyone done lip reduction with dr nara? Just wanted to let everyone know about my experience having plastic surgery in Thailand. I feel people are always happy to give negative feedback, but forget to give good feedback when warranted. I met with Dr Pichet in December last year and the work he has done is absolutely amazing. Dr Pichet and his staff were so caring. I went from size a to d for only $2600. i was originally going to go with round implants (which is what most doctors in australia will do), but i ended up going with tear drop implants as Dr Pichet wanted them to look natural. I am so happy with my new breasts and i'm glad I took his advise. I was going to book the surgery directly through Dr Pichet, but ended up booking through Holiday cosmetic (www.holidaycosmetic.com.au) as I compared the prices, and it cost the same either way. The main benefit being, that I was looked after by a very thoughtful Australian man when i arrived to Thailand. I was also able to call his mobile every time I needed help in translations or I got lost. lemmiknox wrote: macaronincheeze, botox should take care of those lines. hi lemmiknox I have decided to do chin lipo then chin augmentation buccal fat removal and upper eye frown in the middle. Dr Nara had replied to me, Dr Chin ask me go slim down LOL which is very difficult hahahahaha. Hey I tried to visit Dr Nara's webby but it was hacked by someone. do anybody know? his staff were so caring. I went from size a to d for only $2600. i was originally going to go with round implants (which is what most doctors in australia will do), but i ended up going with tear drop implants as Dr Pichet wanted them to look natural. I am so happy with my new breasts and i'm glad I took his advise. hi missyrainyday I got email rec from Dr Nara, I have decided to do what his advising. macaronincheeze wrote: hi missyrainyday I got email rec from Dr Nara, I have decided to do what his advising. Thats great! when is your appointment with dr nara? I haven't received any email from him yet. I'm going Yanhee for consultation. after that will be going to The Klinique to find out about his non surgical korean alarplasty.